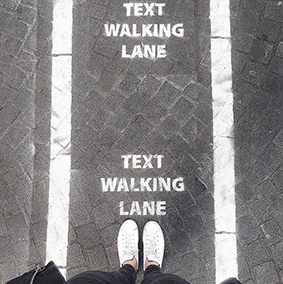 If you have a smartphone, then you are probably also a text walker. 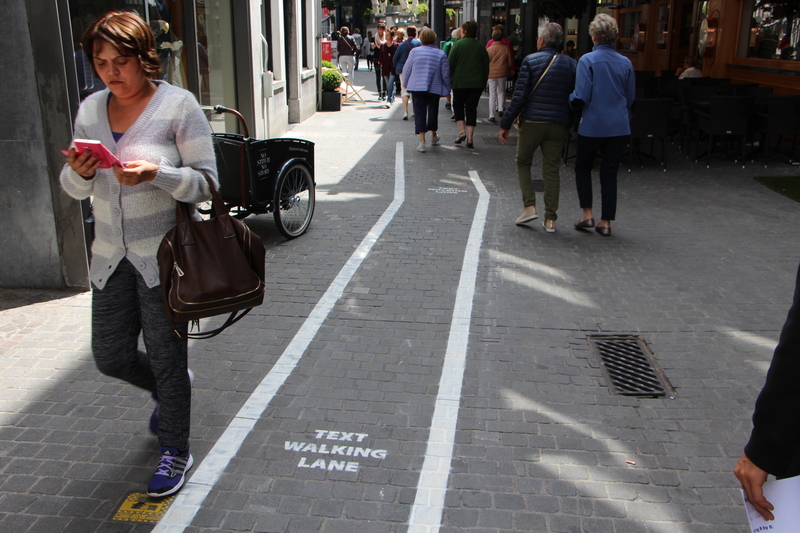 Imagine you are text walking and you are unaware of the dangers around you. You bump into something or someone and drop your smartphone, which results in a nice crack in your screen. 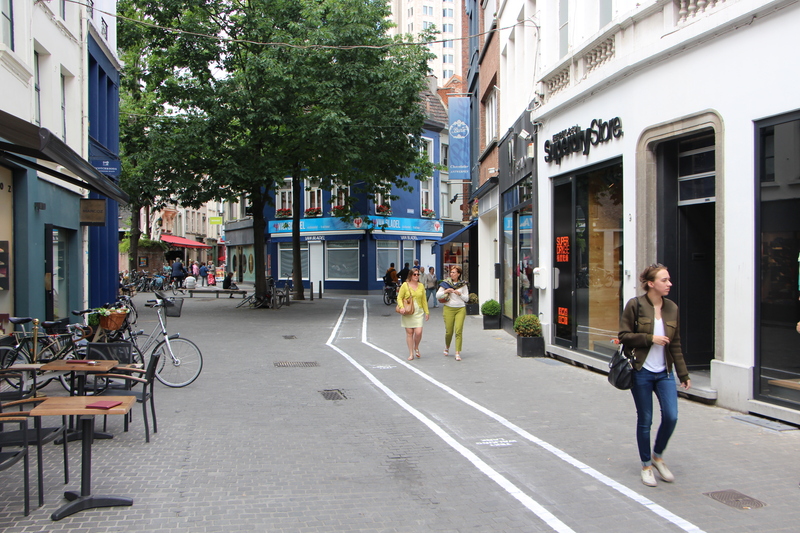 That is why Mlab, a smartphone specialist in Antwerp, created the Text walking lanes in Antwerp to keep smartphone addicts safe. It made national and international headlines. 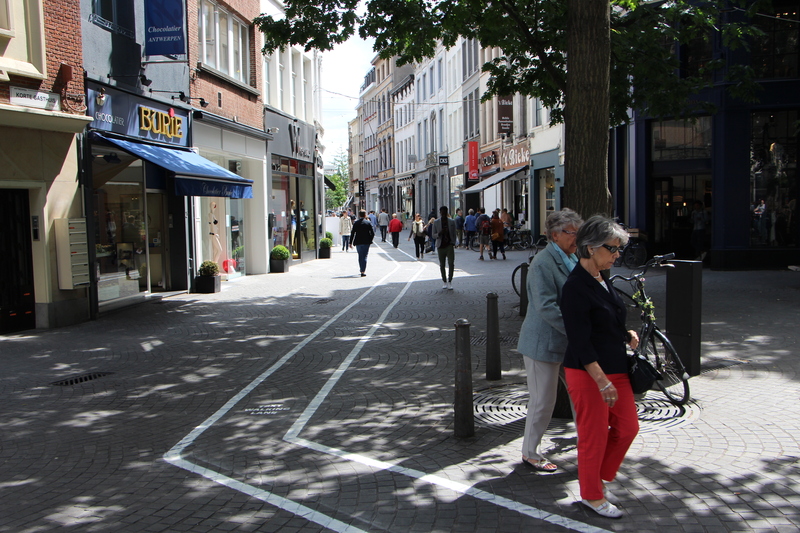 ‘Text walking lanes’: Antwerp sets up temporary scheme. Stunt? Voor ons is dit graffiti?